What Are The Uses Of Fosfomycin? 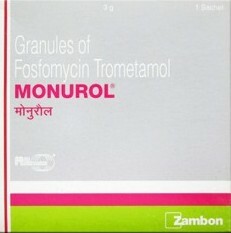 Fosfomycin is used for treatment of urinary tract infections. In combination with other medicines it is used for treating lung infections in cystic fibrosis, which is a genetic disorder that affects lungs, kidneys, liver, pancreas and intestines. The use is limited to bacterial infections and it does not work for viral infections. What Are The Side Effects Of Fosfomycin? Fosfomycin is usually well tolerated. However, chances of developing bacterial resistance may be there. Headache, nausea, diarrhea and dizziness, apart from vaginal discomfort are some of the side effects, which some patients may experience. Severe side effects are changes in vision and unusual weakness. What Are The Contraindications Of Fosfomycin? Kidney problems or consume alcohol frequently. It is not suggested/ advised for children and elders above 75 years of age.